VA and VG Series are air operated valves offering normally open/normally closed capabilities, operating pressures of 6000, 10,000, and 15,000 psig / 414, 690, and 1034 bar, very high cycle life and optional integrated solenoid valve. 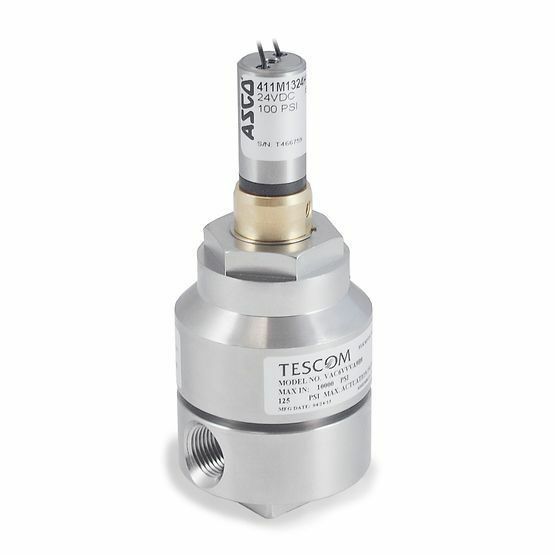 Suitable for liquid and gas applications. Ideal for use in high pressure cycling testing, pneumatic and hydraulic control panels and R & D labs.